Bring comfort and joy into your client’s home with an exceptional piece of wall art. Made with premium timber, Framed Prints offer a classic look to compliment your finest imagery. Gallery Wraps are printed on premium canvas and hand wrapped around a wooden stretcher frame. 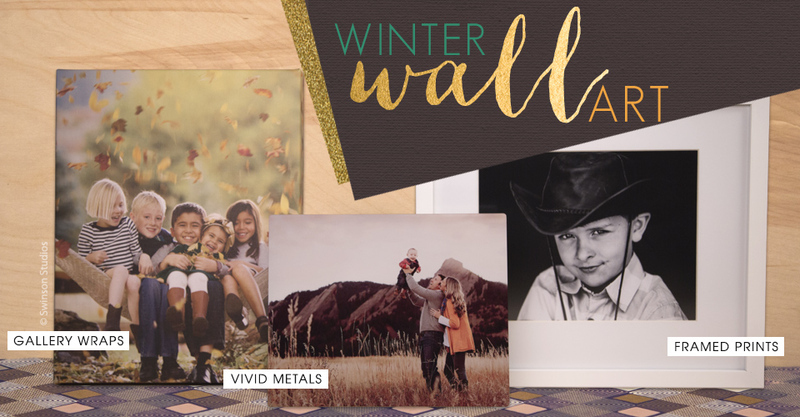 If your client prefers modern style, print your image on a stunning Vivid Metal. A photograph makes us pause and reflect about where we’ve been and how we’ve grown. Share your gift this holiday season.